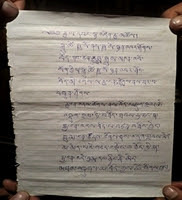 Info: Nangdrol was the fourth of eight children, and is from Choeje village, Barma township, Dzamthang, the Tibetan area of Amdo. The same sources reported that he died, and his body was taken back to the monastery where traditional Buddhist rituals were carried out for him. According to the same sources, monks did not comply with police orders to hand over the body, and this evening (February 19), more than 1000 people had gathered to hold vigil. 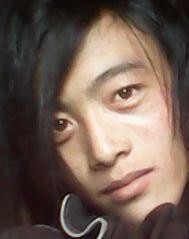 It has been confirmed that 18-year old Nangdrol, who set himself on fire on February 19 in Dzamthang, Sichuan, was a layperson and not a monk as previously reported, according to Tibetan sources. According to Tibetans in the area who are in contact with Tibetans in exile, Nangdrol cared passionately about Tibetan culture and language and had urged fellow Tibetans to be united, and to preserve their cultural and religious identity.